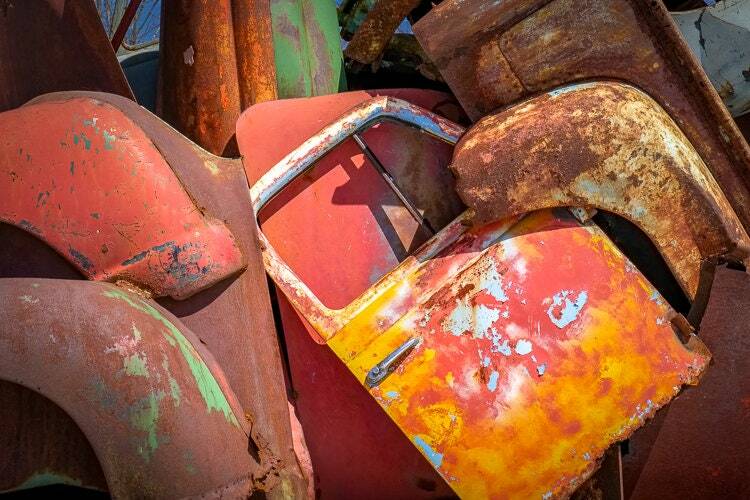 REMAINS 15 is an original, limited edition, fine art, color photograph made by aBoBoBook photographer Rick Graves. 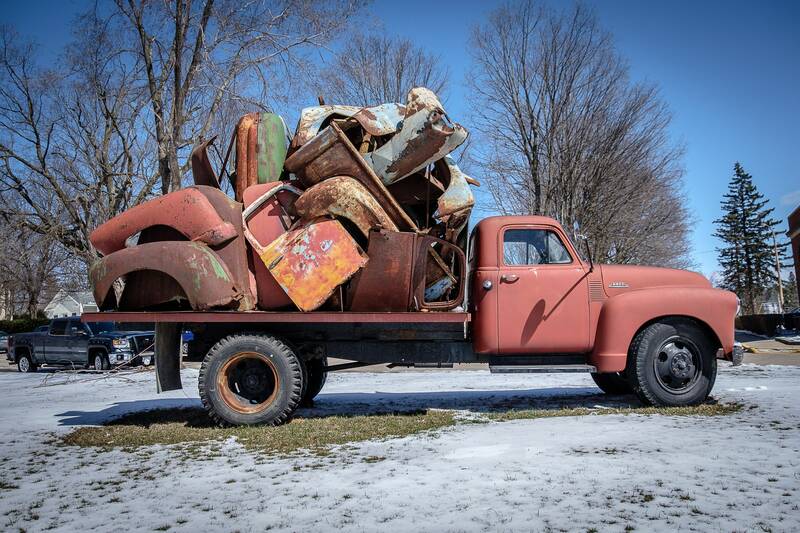 The image is part of a series of photographs of truck sculptures created by Chicago artist John Himmelfarb. They are presented with his permission, under an arrangement approved by VAGArights.com. TO ORDER: Use the drop-down menus to select size Options, Quantity, then click the "Add to Cart" button. SPECIFICATIONS: Cards and Limited Edition images are printed in-house on exhibition quality, fine art papers using Epson SureColor pigment inks. White matts and backing boards are acid-free and arrive ready for standard-size or custom frames. The A8 cards are blank inside, hand-trimmed to size (8.125 x 5.5 inches) with no border, and shipped with a felt deckle-edge envelope. SPECIAL ORDERS: For a stunning, frameless, ready-to-hang option, consider an acrylic, metal, or canvas print. aBoBoBook started as a book bindery and you can also have this image bound on the cover of a custom handmade blank book. If you have questions about options, use this link http://etsy.me/2ipmJCE to send us a message (or use the "Ask a question" or "Request a custom order" buttons). FREE SHIPPING: We carefully hand-pack each order and ship from our village's Post Office. The shipping cost is included for domestic orders. We ship internationally, but please send us a message so we may calculate the shipping costs for your order. COPYRIGHT: Original photography by Rick Graves for aBoBoBook. All images ©Rick Graves. All rights reserved. No reproduction of any kind without prior written consent. Purchasing an image does not transfer the rights for reproduction.